The market is highly uncertain. This fact alone, coupled with the many natural emotions of people when dealing with their own money, makes many individual investors prone to numerous pitfalls during their investing process. In this article, I want to share the 8 largest pitfalls (in my opinion) that investors can make before, during and after investing. Let’s go right into the factors. 1. Not preparing before investing. One major mistake that many investors make even before investing is not preparing. Many investors just starting out might think that there is not much to prepare, which is a large misconception. As the old adage goes, “If you fail to plan, you plan to fail”. In investing, the exact same concept applies. 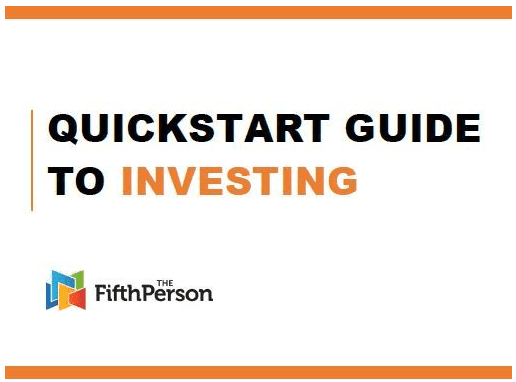 Firstly, list out the amount of money you are willing to invest. When you invest in equities, you take risks. You need to assess your risk profile, and decide accordingly. In my opinion, you should only invest the spare cash you do not need urgently, and do not mind losing in the market. Secondly, have a game plan. Take out a piece of paper, and divide your portfolio into different segments. I always recommend diversification not just across equities and industries, but across different strategies. Personally, I divide my portfolio across dividend-paying equities (80%), growth equities (15%) and high risk equities (5%). This weighting should be based on your goals and risk profile. 2. Entering with the wrong frame of mind. The next pitfall many investors make even before investing is entering the investment arena with a wrong frame of mind. Many people that I’ve met think buying stocks is gambling, and that the market is just like a glorified casino. If you too think this way, I want to tell you, flat out, that this is wrong. In fact, I will tell investors with such a mindset to get out of the market quick, because this is a recipe for losing money fast. The correct mindset when buying stocks is to think of every single share as a piece of a company that generates revenues and income annually. It represents a stake in a real company. If investors think this way and give each of those rapidly changing numbers on your computer screen this form of respect, I believe that they will invest very differently. 3. Failing to follow your own game plan. A game plan gives investors a sense of direction during investing. But, for one reason or another, we might fail to follow our game plan sometimes, and this usually leads to dire consequences. As a dividend investor with an aim of receiving increasing income every year, I have experienced such a situation before. Some time ago, I defied my game plan by investing in the GAMCO Gold & Natural Resources Fund for its 12% yield despite its decreasing dividends. In the end, the dividend continued decreasing to a level 42% lower than its original level. I also took a net loss when I sold last year despite the high dividends paid by the fund. Below shows a chart of GGN’s dividend payments and price performance. Hence the lesson is: do not defy your game plan. Once you have decided on it, keep to it and only make amendments to it if necessary. I told myself it would be the only exception, and I paid for it in kind. All these questions are perfectly valid, but I have asked myself these questions too many times before causing me to miss some of the best entry points in high-quality dividend stocks that were already within their fair valuation range. Hence, I will advise investors to take the opportunity to buy (or sell) when the opportunity presents itself, and put in stop losses if you are afraid of a large decline in stock price. Taking any one of the aforementioned actions is almost always better than procrastinating. 5. Buying high, selling low. The advice of buying low and selling high sounds simple, but investors would agree that it is truly difficult to follow. It is so easy to buy when caught up in all the euphoria and hype at the peaks, and to sell when panicking and being in emotional turmoil at the bottoms. To me, the best way to overcome this is to simply pick long-term, high quality stocks that you will hold on to even in downturns. As a long-term dividend growth investor myself, I try to imagine my feelings if a company’s share price dropped by 50%. If I know that I have faith in the long term prospects of the company, and will seize the good opportunity to buy at depressed levels, there will be a higher chance that I will not be overcome by the emotions experienced at a market bottom. 6. Entrusting your money with the wrong people. Another pitfall that many investors make is to entrust their money with the wrong people. To have an investment professional, such as a financial adviser or an analyst help with your investment decisions might sound great, but it might not be in your best interests most of the time. The largest problem in entrusting your money with any sort of adviser, in my opinion, is the conflict of your interests with the adviser’s interests. Due to the adviser’s want to earn money, he might probably try to direct you to mutual funds and other related investment products that pay a sales load, or a commission to the adviser. This means that for every dollar you invest, a part of it is going to your adviser. Besides this, a further part of it will be going to management fees in the fund. This alone will seriously compromise your returns. Although not all investment advisers are untrustworthy, the conflict of interest cannot be ignored, and hence, I feel that individual investors are better off on their own in the investment markets. Even for new investors just starting out in the markets, there are so many platforms on the internet that can guide you towards smart investing. After all, you do not have to pay commissions to find a good investment for yourself. 7. Falling in Love with stocks (and with gains). It is easy to fall in love with well-performing stocks and the green figures in our brokerage account accompanying them following a great buying decision. But falling in love with any stock is lethal for our portfolio as we will be blind to all the negative developments in the company and continue to hold on to the stock despite any deterioration in the company’s fundamentals or technicals. In a worst case scenario, the shiny gains that accompanied the stock may just become glaring losses. To overcome this, we simply need to be impartial to all our stock holdings. Like how nobody should be indispensable in a company, no stock should be indispensable in our portfolio. Even our favourite stock, or our best-performing stock should be sold in the event of any sort of deterioration. 8. Making impulsive actions after a large loss to “recoup” the loss. Once in a while, we might make a grave mistake that eroded our portfolio value greatly. The emotions that accompany that realised loss may urge us to take unacceptable risks to offset, or “recoup” the losses. Such an action will make us gamblers instead of investors, and will probably only lead to further losses since most gamblers just don’t win. After realising a huge loss, we should not let our hearts rule our head, and lose our sense of judgment. Instead, we should reflect on what went wrong during the investment, and focus on how we can make it right the next time we invest. In conclusion, the aforementioned factors are just 8 of the many pitfalls that investors can meet with during their investment process. Much of these pitfalls are related, or caused by our natural emotions and impulses as humans. In my opinion, one important factor in successful investing is to overcome these impulses and focus on our long-term investing goals. Hi Siew Wah, glad to hear that some of your investments are doing well so far. I don’t follow Deutsche Bank, but I have shunned the stock after reading articles about its derivative exposure and the tough financial environment in the euro zone. However, some superficial research on my part shows that DB is staging a turnaround with a new management team and by strengthening its financial position. The CEO, John Cryan, for instance, seems to be an efficient manager through his previous jobs, cleaning up UBS’ investment bank segment post-financial crisis. However, DB seems like a speculative play to me, and a turnaround would possibly take years to play out given the euro zone’s lackluster performance and the company’s huge debt load (US$278B of debt compared to US$35B market cap). I am unable to advise any further as I’m unfamiliar with your risk profile and tolerance. I hope this reply helps! Thanks for your input Kang Wei. Looks like I picked the wrong stock, thinking Deutsche bank will go the way of Bank of America. Never knew it is piled deep in debt. Time for me to exit to cut loss. Just could not understand why a Chinese conglomerate piling billions into Deutsche bank for a 10% stake?